You can find Omega-3-fatty acids for example in cold water fish such as hering, makrele, salmon, sardine, tuna and krill as well as in some specific micro algas from the sea. In plant based fat and oil you will find ALA (alpha-linolacid), a kind of „primarily step“, from which the body can build up the biological more activ EPA and DHA. Why do we consider Omega-3 fatty acids as so important? 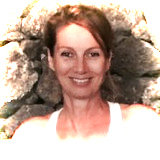 Nabila G. Welk, therapist, nutritionist, spiritual guide and abundance coach. This text is only for informational purpose and does not intend to give medical advice. If you suffer from disease or un-wellness, please see a doctor.